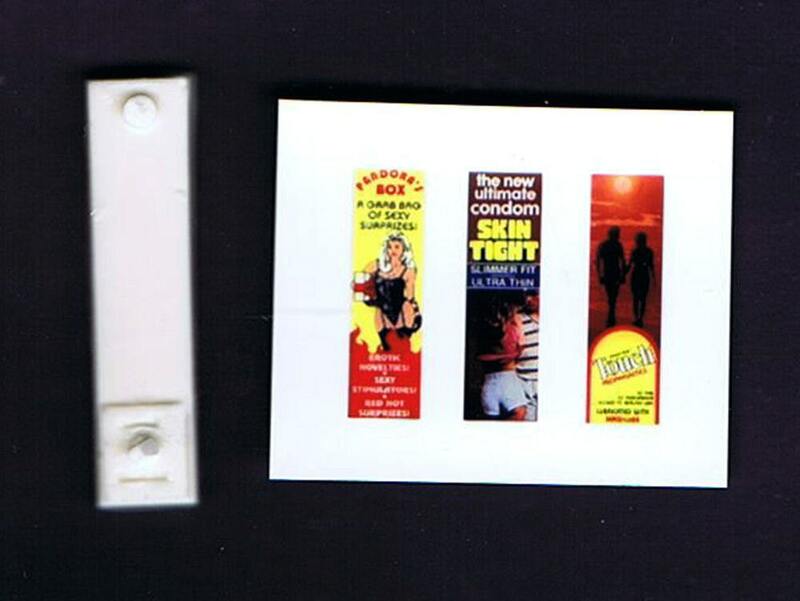 This is a resin condom vending machine for 1/24 and 1/25 scale dioramas. It is suitable for any G scale railroad layout or diorama in a comparable scale. It is 1 1/8" tall and includes three different signs printed on photo paper for durability. Just cut out your sign and glue it on. It has minor air bubbles and flash and requires minimal clean up. It can be painted with enamel, acrylic, or lacquer paints. This is a scale vending machine for scale model vehicles. It is not a real vending machine.